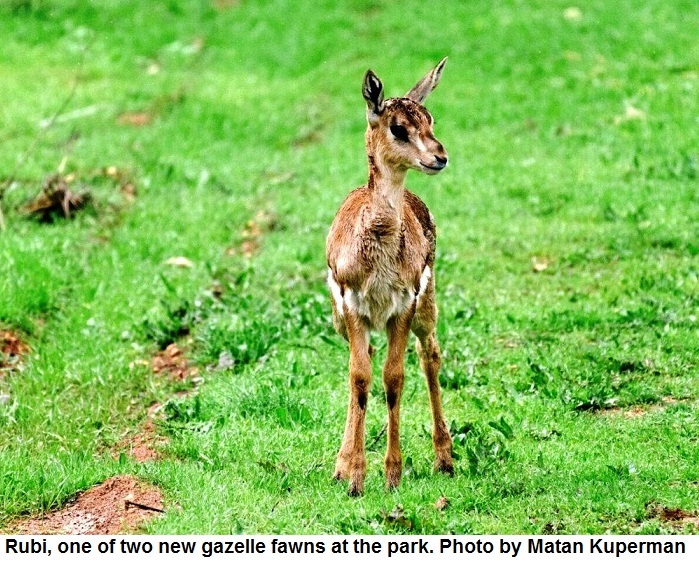 Three years after its founding and just in time for Passover, Jerusalem’s Gazelle Valley Park has much to celebrate as the arrival of two wobbly wonders – Rubi and Pesach – brings this community to 5 times its original size. 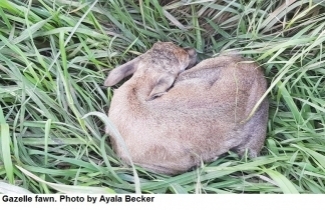 During Passover, over 18,000 visitors thronged to Jerusalem’s Gazelle Valley Park to celebrate its third anniversary and the magic of two new gazelles, born free in a 260-dunam natural oasis surrounded by a shopping mall, hi-tech center and a soccer stadium. The visitors were treated to a range of family-fun activities, from treasure hunts to children’s shows along the themes of Passover, nature conservation and sustainability, as well as field games and a musical parade. Throughout the park, rangers led nature walks, including a “Foraging for Edible Treasures” plant tour and a “Bees and Honey” workshop, featuring a live beehive. But perhaps the most popular activity was casting votes to choose names for the park’s two newborn fawns. For the public ballot, visitors were given four names to choose from: Rubi (after Israel’s president Reuven “Rubi” Rivlin), Ze’evik, Pesach and Pharaoh. Those in the know are thankful that the fawns had not been born a few years earlier, as their future would be in jeopardy. Established in 2015, by SPNI in cooperation with Jerusalem Municipality and The Jerusalem Foundation, which support the on-going maintenance of the park, Gazelle Valley Park represents a major victory for the public and SPNI, who fought a 20-year battle against developers. The area was dotted with fruit trees and served as the home to hundreds of gazelles until the 1980s, when rapid development caused herd numbers to plummet. In 2000, a plan for 1,400 apartments would have signed the death warrant of this peaceful valley if not for the advocacy group of diehard local activists, later joined by the SPNI. After a lengthy battle, during which the community itself created a master plan for an urban wildlife park, the court finally ruled in favor of conservation – and Israel’s first and largest urban park was born. Three years later, Rubi and Pesach join a community of dozens of gazelles, a meteoric rise from the small group of 6 in 2015!